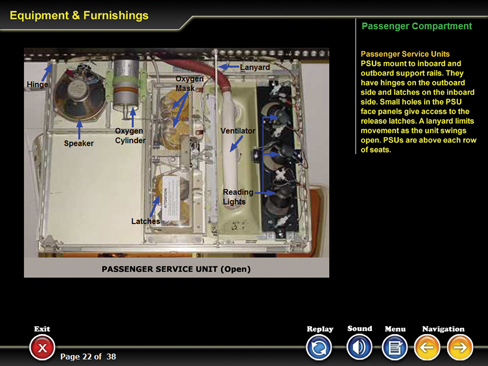 The ATA25 CBT module provides description of equipment and furnishing in the flight compartment and also in the passenger cabin, as typically found in commercial aircraft. The CBT has 38 pages of multimedia courseware that include text, audio, and graphics. The topics covered in this CBT are listed below.